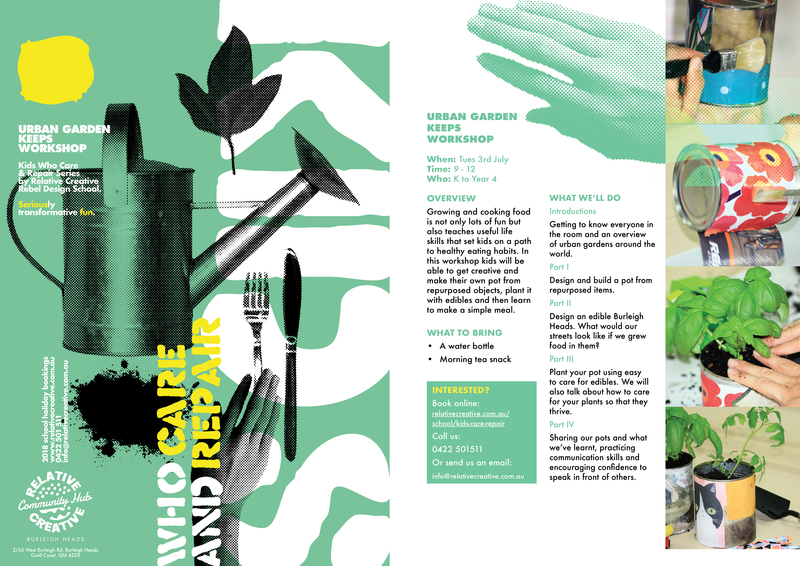 We have adapted our exciting Kids Who Care and Repair school holiday workshop series to suit Kindergartners to Year 4s. Join us for a hands-on morning where we will get creative and make a own pot from repurposed objects and then plant it with edibles. We will talk about how our food is grown and look at examples of urban gardening from around the world.